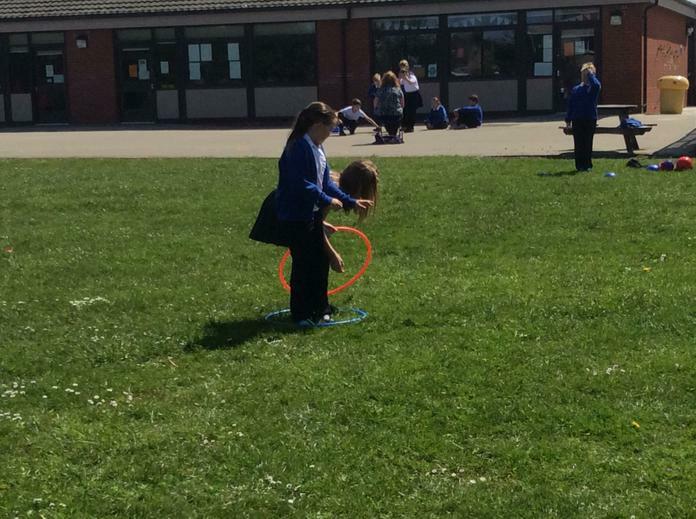 Although yesterday's wet weather didn't stop us from getting out in the 'Great Outdoors' for our whole school topic, it was fantastic to see so many classes getting outdoors this morning! 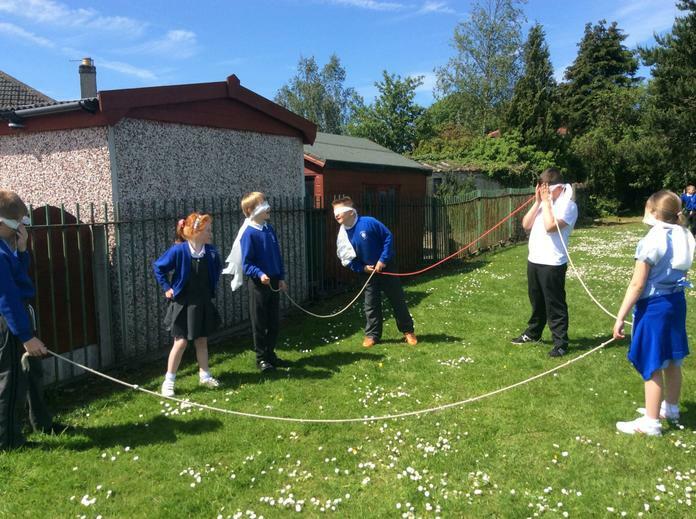 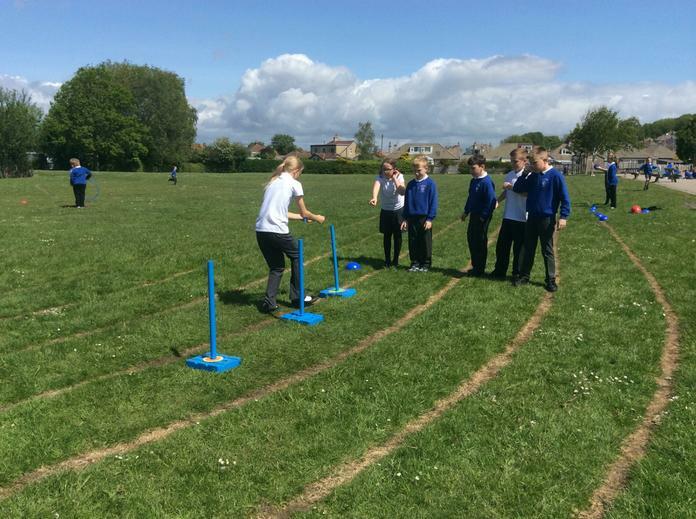 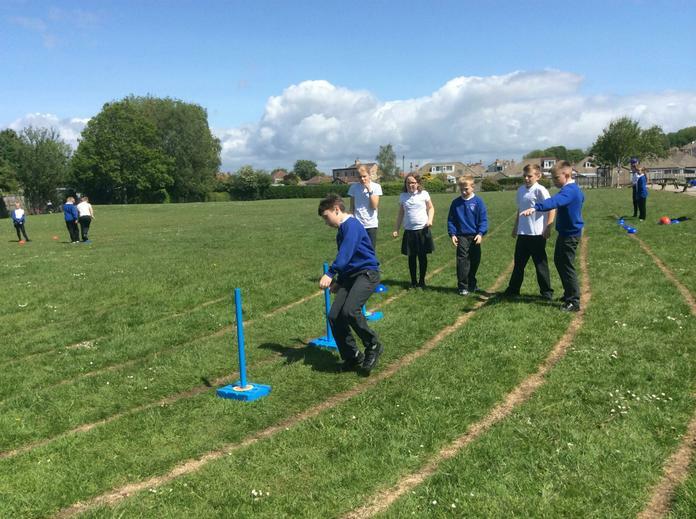 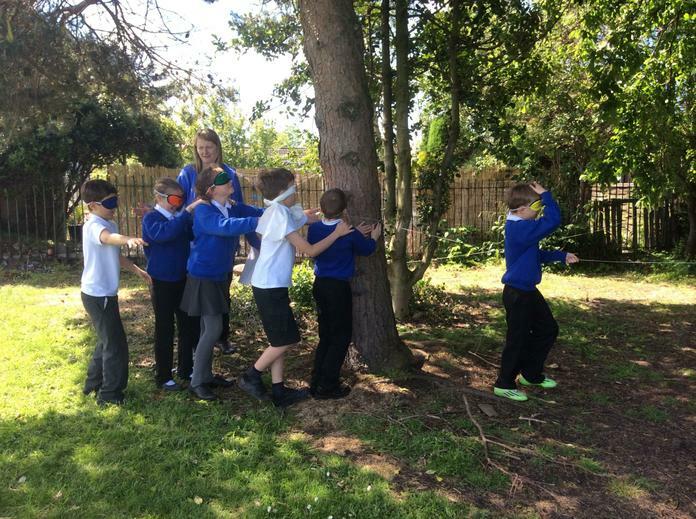 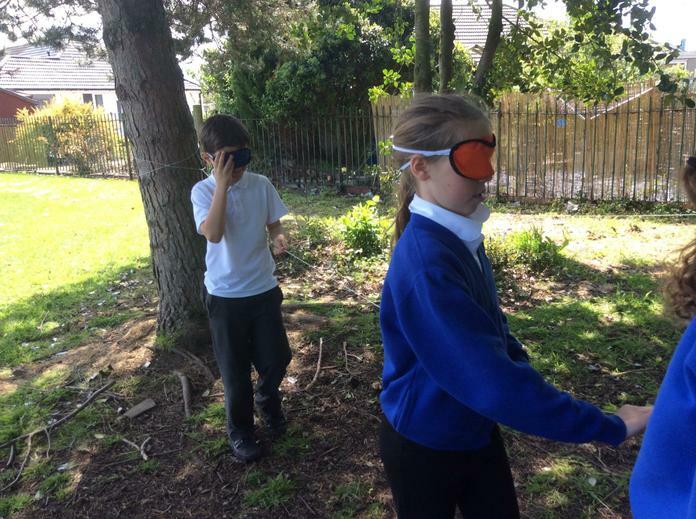 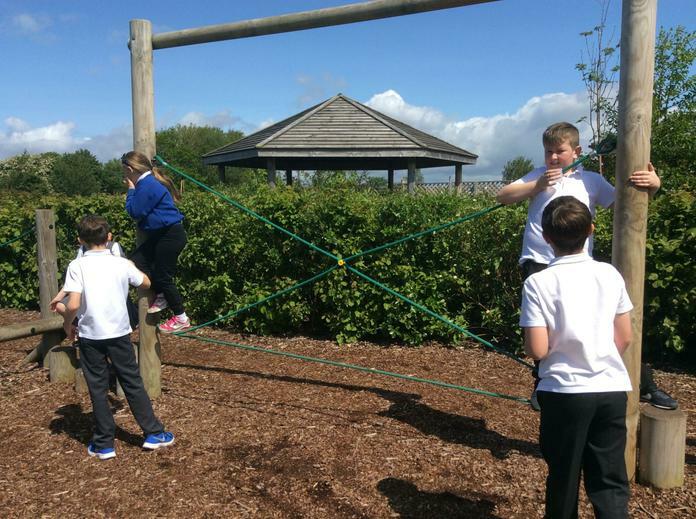 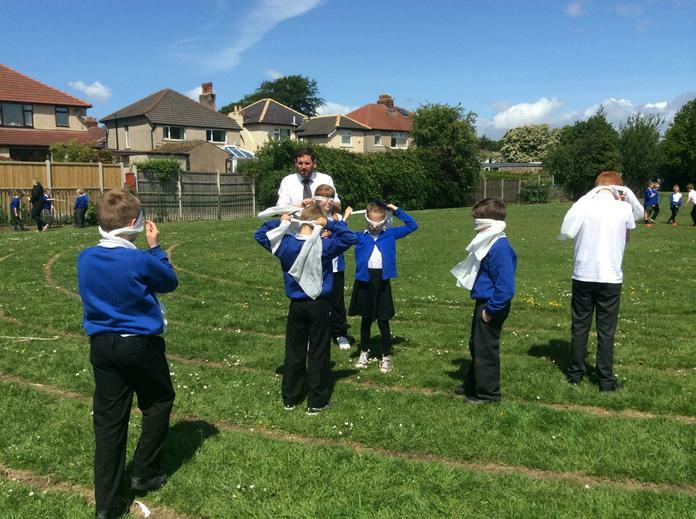 Year 5 were out, taking part in all sorts of collaborative challenges, which included water, blindfolds and swamps! 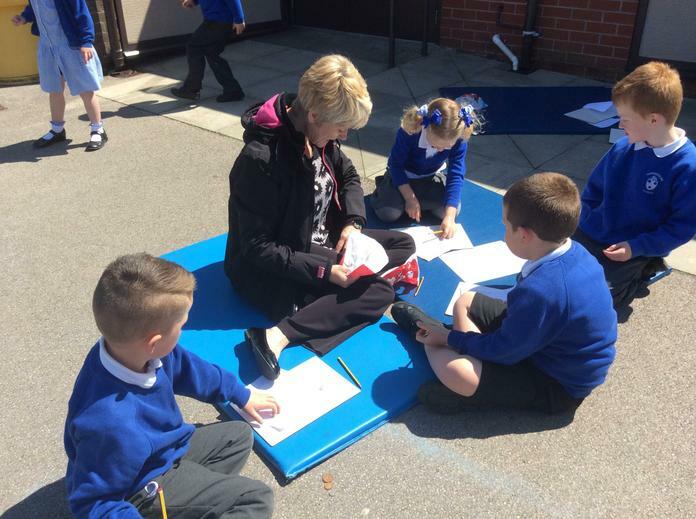 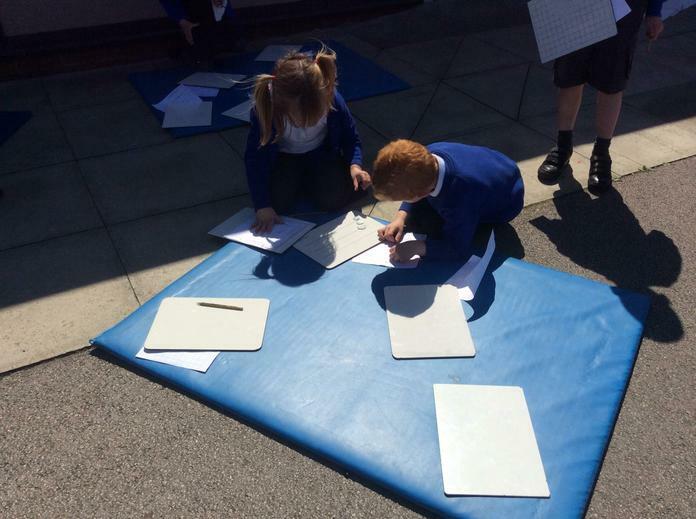 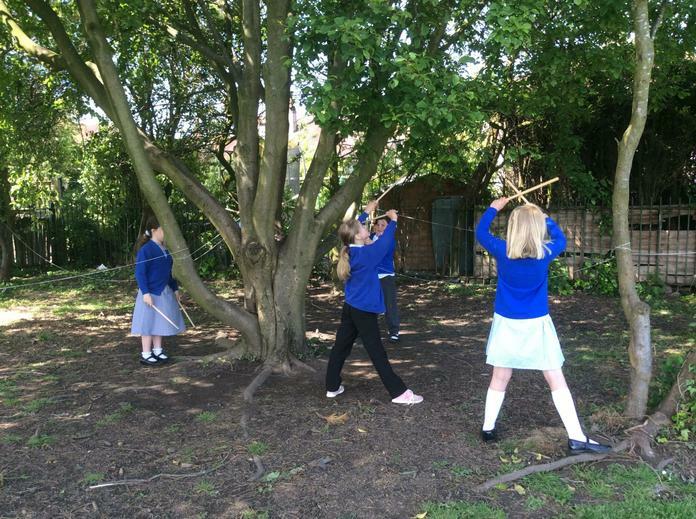 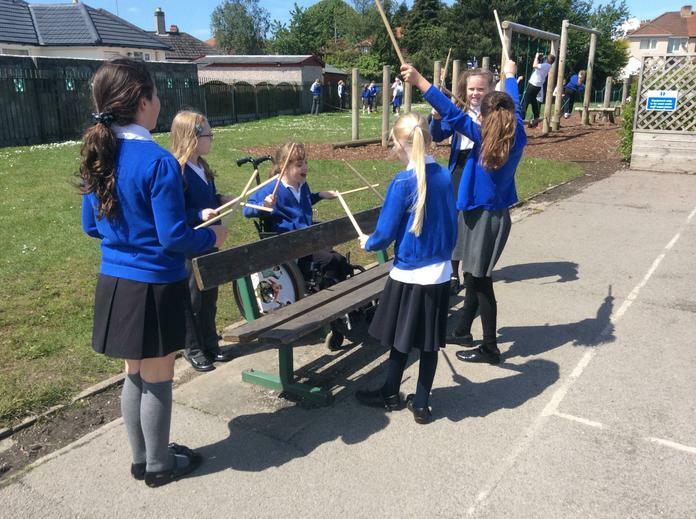 Year 4 were drumming on trees, fences and benches, working very creatively in their groups. 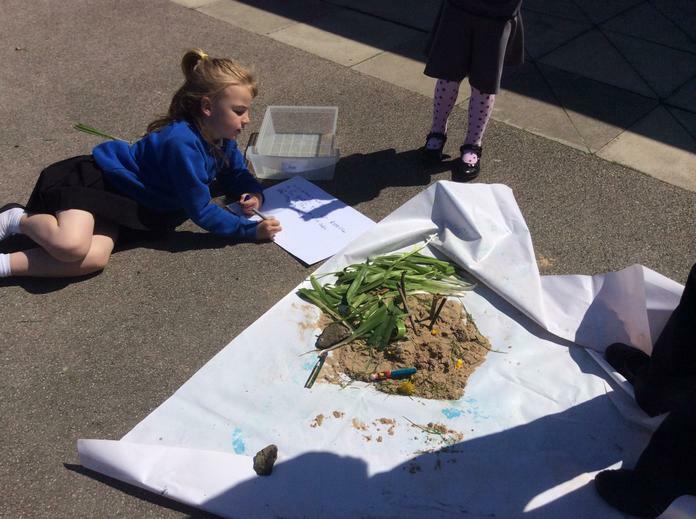 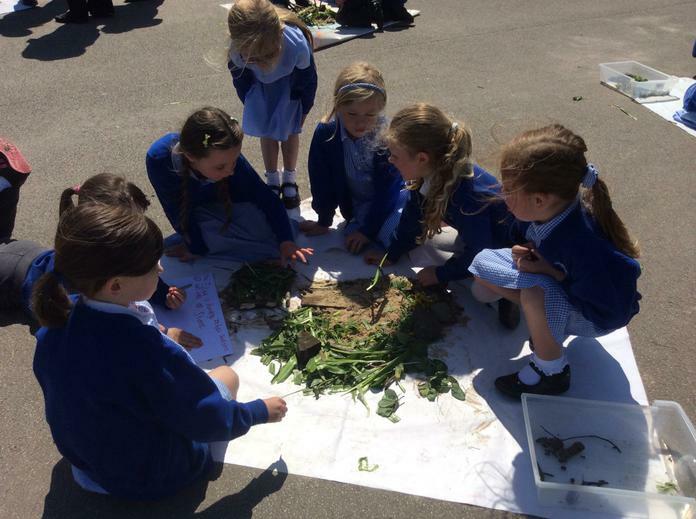 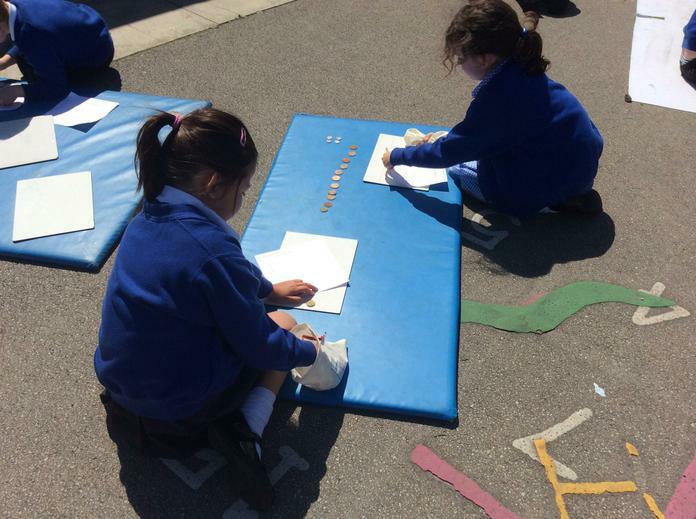 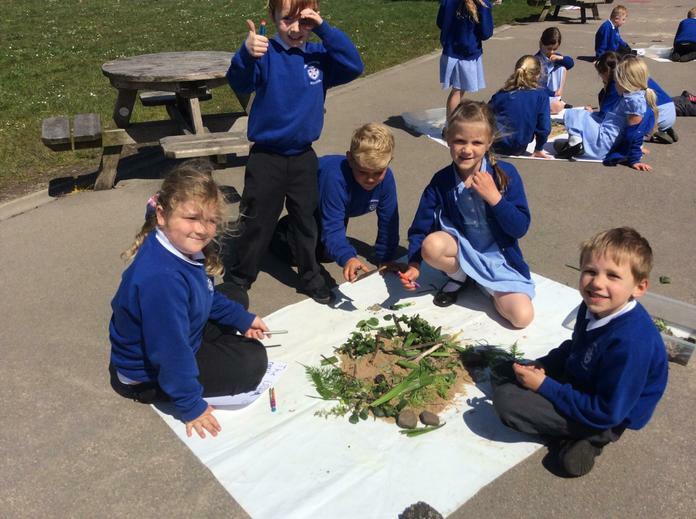 Year 1 were building pirate islands using sand and lots of materials they had collected, whilst some children were getting mathematical with pirate treasure!